If you’re tied to T-mobile network and don’t have the liberty to use the other network of your choice because you didn’t get T-mobile Samsung Galaxy S8 unlocked and thinking how to unlock my T-mobile Samsung Galaxy S8, we can fix your problem. You’ll be able to get your T-mobile Samsung Galaxy S8 sim unlocked with no drawback. We provide the simplest service in this regard. You’ll be able to avail the quickest and most reliable unlocking service in best value of money, you’ll not going to unlock T-mobile Samsung S8 for free but our costs wont be beaten. The best and speediest technique to factory unlock T-mobile Samsung Galaxy S8 is by unlock app solution. So here is the means by which this process works, you should simply give us your IMEI number (which is an exact 15 digit number extraordinary in each phone) and your email address. With that IMEI number we will get you your unlock app solution by sending it to your email address in the time expressed above and you’ll get T-mobile Samsung stylo 3 factory unlocked. How To Check IMEI Of T-mobile Samsung Galaxy S8? After getting the confirmation of unlocking all you have to do is connect your T-mobile Samsung Galaxy S8 with wifi and open the device unlock app, in the app you need to select permanent unlocking and when the processing is finished you’ll get sim unlocked T-mobile Samsung Galaxy S8. 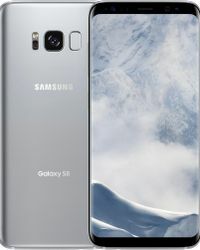 Your T-mobile Samsung Galaxy S8 sim unlocked will be very beneficial because of its vast usability its re-sale value will be increased and it will become attraction for customers. You can read more benefits of unlocking your phone here. Why Unlock T-mobile Samsung Galaxy S8 With LetsUnlockPhone? You can check specs of T-mobile Samsung Galaxy S8 here.